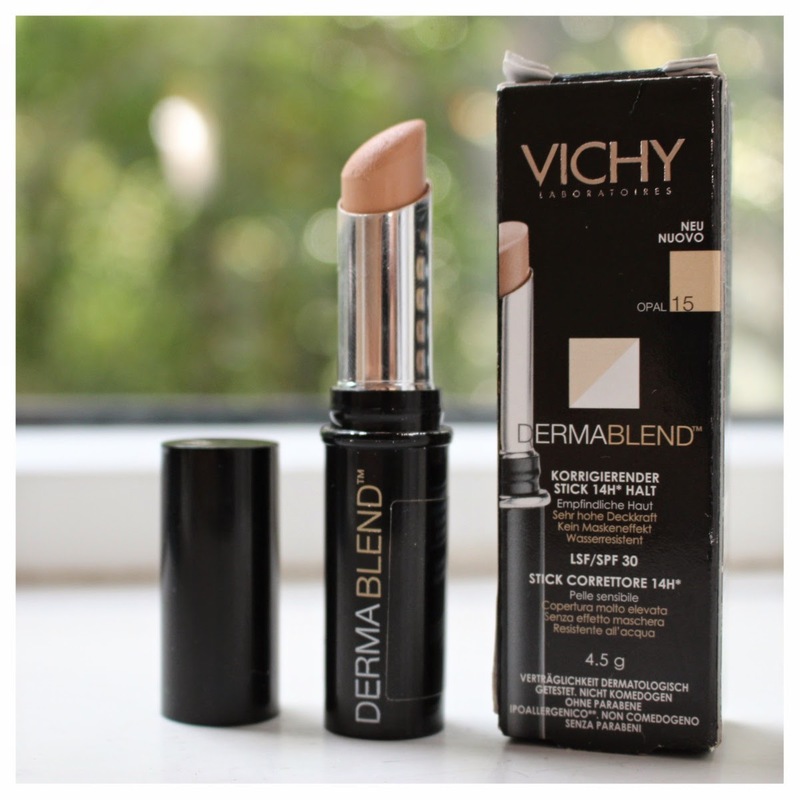 I try and use a product as much as possible before I review it and that happens to have been the case with this Vichy Dermablend Correcting Stick* as I’ve had it a fair few months now. 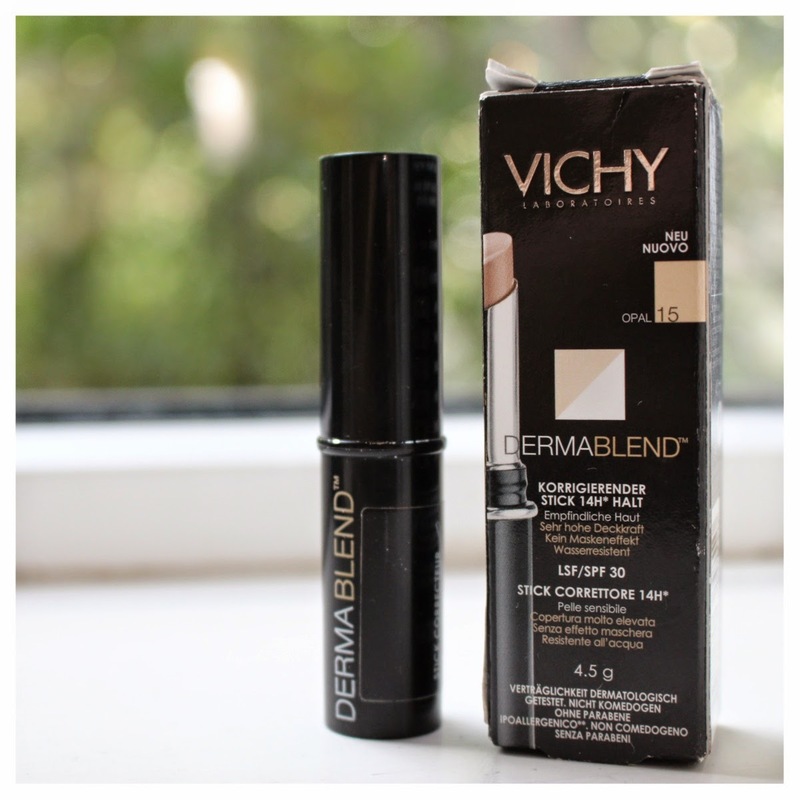 I don’t suffer with harsh blemishes or have an uneven skin tone but I do have redness around my nose and eyes and have dark circles too (they come with being a Mum!) so I got this to help prevent the appearance of those on my bad days! 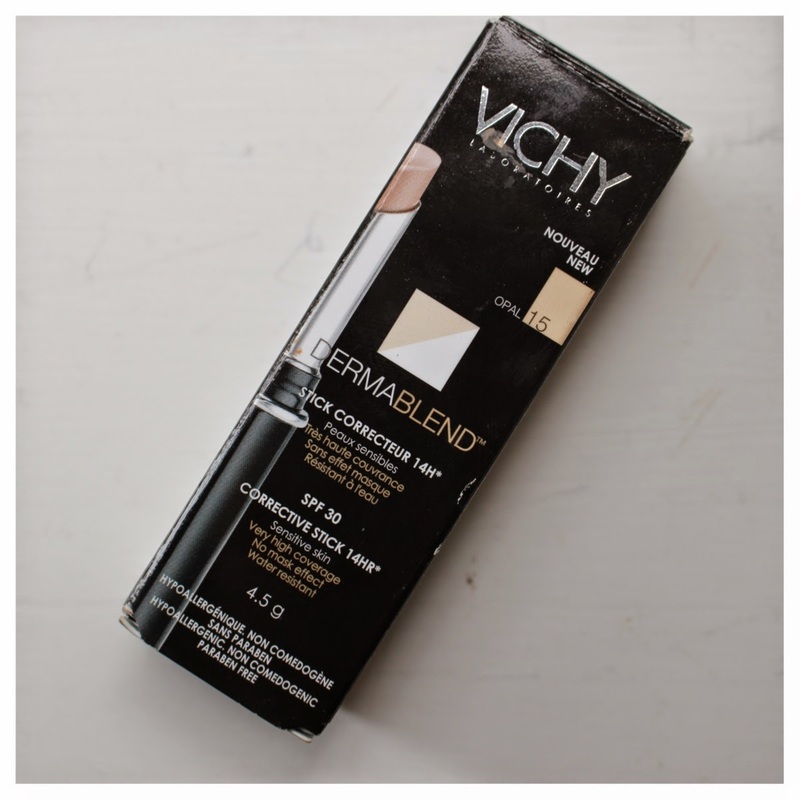 The corrector stick is a twist up application type product, a little like a lipstick for your face, and has a really thick consistency. It’s super heavy duty and claims to last 14 hours... It definitely does that! 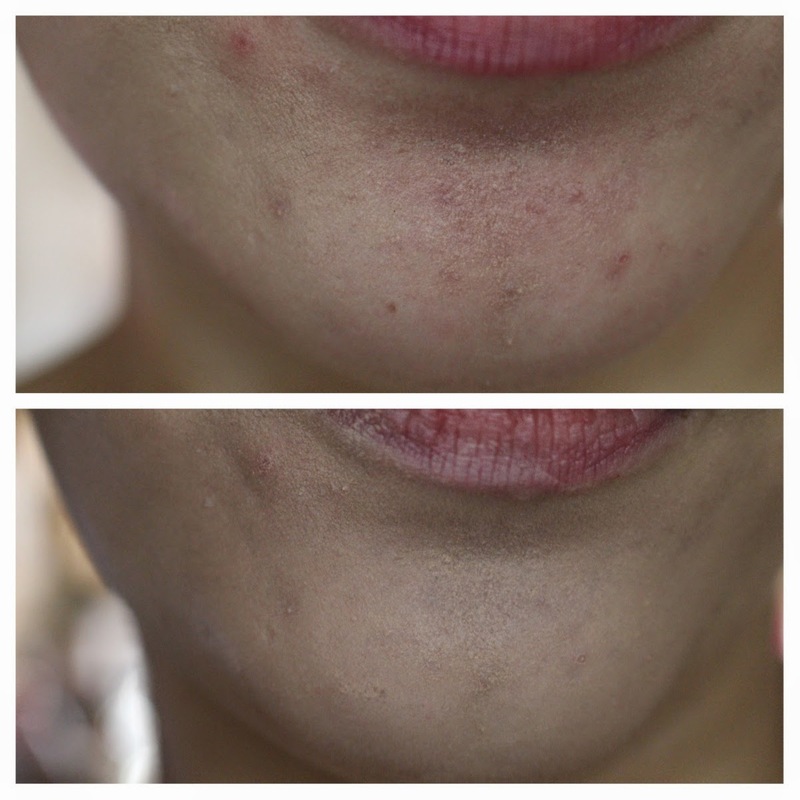 I tend to apply this in little dots covering the area I want to even out, you can see on the pictures below, I applied it to my chin as I had a few red blemishes and the application is with a stippling brush. 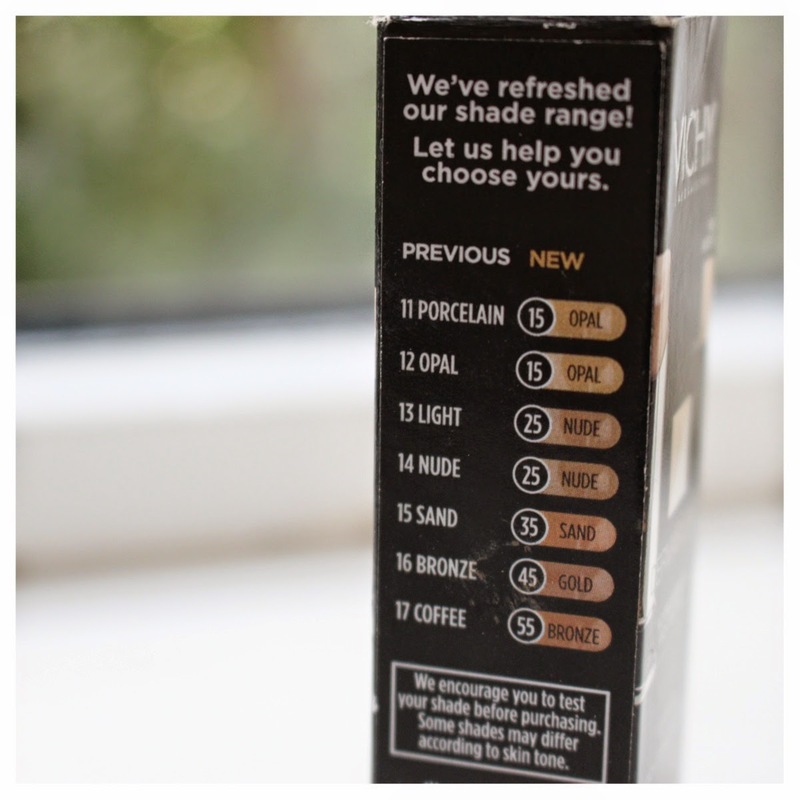 It blends out to a powder type consistency but then when you apply foundation over the top, it blends out really well and looks almost natural. I do find though that if you have more than a few spots that it can dry up and make them stand out a little more so try not to use too much over problem areas.